SRK is yet a year older and we are here to celebrate his birthday by remembering his most memorable roles! “Kabhi kabhi jeetne ke liye kuch haarna bhi padta hai … aur haar kar jeetne waale ko baazigar kehte hai”. Shah Rukh Khan’s dynamic performance in this thriller caught the eyes of everyone! This was also the first film in which Kajol and SRK worked together. King Khan played a young man with a vendetta against a business tycoon seduces and kills his eldest daughter and then proceeds to his younger daughter (Kajol) but she begins to suspect her new lover’s ulterior motive. “I love you KKKKK … Kiran”. 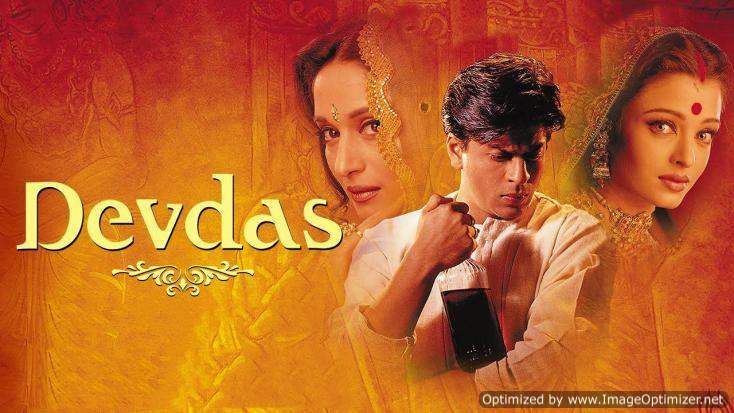 In this movie, SRK came and conquered the big screen as an antagonist. His dialogue and delivery of, “K-K-K-Kiran”, the name became the talk of the town and even today, it is as iconic as it was in the past. He starred alongside Sunny Deol and Juhi Chawla. Dilwale Dulhaniya Le Jayenge was a blockbuster on the box office. SRK and Kajol’s romance mesmerised the audience and King Khan proved that he is in the industry or a long. He dialogues in the movie became very popular in the youth. He reinvented Bollywood romance in the movie and began his journey as the King of Romance! SRK delivered yet another romantic blockbuster and became the dream guy of every during that time. His chemistry with Kajol and Rani was on point! With beautiful locations, wonderful dialogues and amazing songs, the movie was a romantic overload! “Duniya mein kitni hai nafratein … phir bhi dilon mein hai chahatein … mar bhi jaaye pyar waale … mitt bhi jaaye yaar waale … zinda rehti unki mohabbatein”. 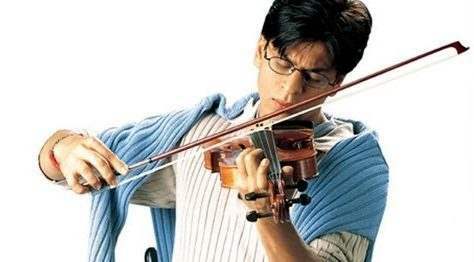 Here, we say SRK as a rebel Violin teacher who taught the students to not be afraid of love and welcome it whenever they find it. He was paired with Aishwarya Rai in this multi-star feature film. His romantic lines and his delivery had everyone’s heart beating fast. Even though the movie didn’t do well at the box office, SRK still stole our hearts! “Dosti ke alava bhi kuch rishtey hote hai … kuch rishtey joh hum samajhte nahi … kuch rishtey joh hum samajhna nahi chahte … kuch rishtey jinka koi naam nahi hota, sirf ehsaas hota hai … kuch rishtey jinki koi deewar nahi hoti, sarhad nahi hoti … aaise rishtey joh dil ke rishtey hote hai, pyar ke rishtey hote hai, mohabbat ke rishtey hote hai”. King Khan played the prodigal son, an overachiever who rebels against his father when his father decides to arrange his marriage. This movie was a big endeavour. From the cast to the size of the sets, everything was larger than life. It all depended upon the actors to deliver and they surely did! The movie became a huge success and SRK along with the whole star-cast brought magic on the silver screen. “Babuji ne kaha gaon chhod do … sab ne kaha Paro ko chhod do … Paro ne kaha sharab chhod do … aaj tumne keh diya haweli chhod do … ek din aayega jab woh kahenge, Duniya hi chhod do”. Playing a drunkard and yet coming across as charming is only something SRK can do. He romanced Madhuri Dixit and Aishwarya Rai in the movie. With powerful dialogues, elaborate sets and SRK’s powerful acting, there was no chance that audience would be spared from King Khan’s Brilliance! “Sachi mohabbat zindagi mein sirf ek baar hoti hai … aur jab hoti hai … toh koi bhagwan yah khuda usse nakamyab nahi hone deta”. Estranged lovers from India and Pakistan and a pure tale of love. SRK was so convincing and it was one of his most heartwarming performance ever! While Rahul from Kuch Kuch Hota Hai was someone every girl wanted, the love that Veer had for Zaara was what every woman wanted! Seeing SRK in a negative character after a long time was refreshing in this Don remake. He brought justice to the character of Don, played by Amitabh Bachchan previously in 1978. “My name is Khan, and I’m not a terrorist”. 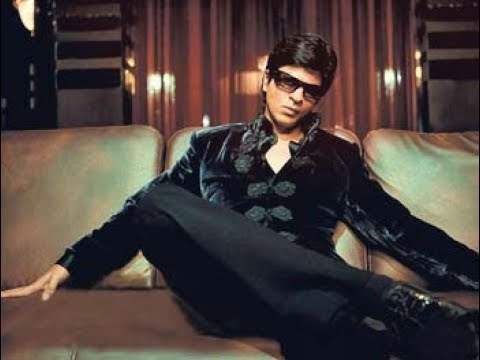 Shahrukh played an Indian Muslim man with Asperger’s syndrome who takes on a challenge to speak to the President of the United States seriously about the continued hate of his community. SRK captured the true innocence and the purity of the character and gave a brilliant performance! It was probably his most challenging and out of the box roles and he did it justice! “Sattar minute, sattar minute hai tumhare paas … shayad tumhari zindagi ke sabse khaas sattar minute … “. This was SRK’s most powerful performance. He played the ex-national hockey played turned girl’s national hockey team coach, who was accused of losing matches for money. He was so powerful and appeared so enigmatic on the screen that no one could help but appreciate the actor he is! And yet again, we fell in love with him! “Punjab power, lighting up your life … Surinder Sahni this side ji”. It might not have been his best performance but c’mon his quirky demeanour as Raj and his sweet and caring avatar as Suri totally stole our hearts! SRK proved yet again that he is indeed the king of Romance! “Tum agar khulke ro nahi sakogi … toh khulkar has kaise sakogi”. 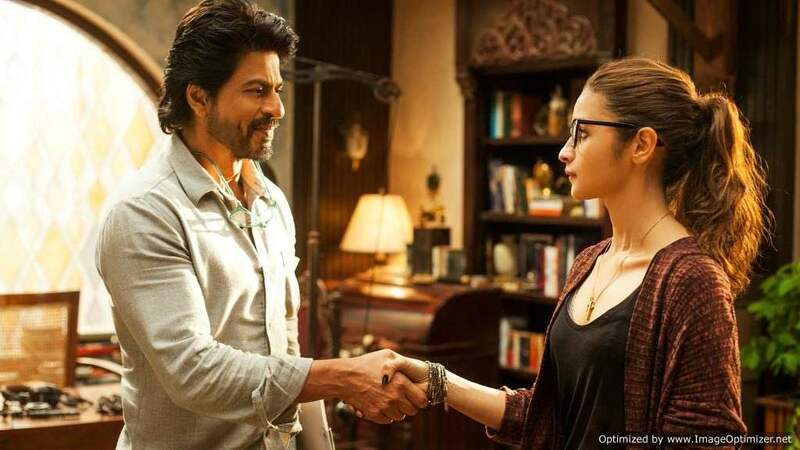 Badshah Khan played the role of Dr Jehangir Khan, who guides the Alia Bhatt’s character and helps her figure out life. With his charming poetry and philosophy paired with his raw charisma, there was no way our hearts were safe. SRK won our hearts all over again! TWIST ALERT: This actress to enter Jennifer Winget and Harshad Chopra’s Bepannaah!